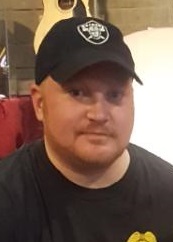 Joshua D. Smail, 37, of Derry, passed away April 5, 2019 at Allegheny General Hospital in Pittsburgh. He was born October 31, 1981 in Greensburg, a son of Alan and Lori (Musgrove) Smail. Josh was a 2000 graduate of D.A.H.S and a 2002 graduate of the WCCC Criminal Justice Academy. He was currently serving on the Derry Borough Police Department. He previously served the communities of Jackson Twp. Butler County and Nanty Glo Cambria County. He was a member of the Derry VFD Station 41, the FOP Lodge #023 and the Derry Rod and Gun. He was an avid Raiders, Penguins and Pirates Fan. In addition to his parents Josh is survived by his children Colton, Makenzie and Logan; brother Nathan (Melanie); sister Lindsey Smail; Nephews Cameron and Bryce; Niece Alexis all of Derry; 5 aunts, 4 uncles and several cousins. Also his best buddy, dog Rico. He is preceded in death by his paternal grandparents Wilbur (Web) and Leona (Berkey) Smail and maternal grandparents Clarence (Pete) and Loraine Musgrove and most recently preceded in death by his Uncle Joe Musgrove, Sr.
Friends will be received on Tuesday from 3 - 8 PM in the McCabe Funeral Home, 300 W. Third Avenue Derry. The Derry Police Dept. along with the Fraternal Order of Police will conduct services in the funeral home Tuesday at 6:30 PM followed by the Derry Volunteer Fire Department at 7 PM. A funeral service will be conducted Wednesday at 10 AM at St. Joseph Catholic Church, Derry with the Reverend Salvatore Lamendola. (Everyone is asked to go directly to the church). Interment will follow at Coles Cemetery, Derry.